Will Coconut Oil Heal Dry Skin? How To Use It For Dry Skin? Dry skin appears coarse, dull, scaly and dehydrated in texture. Cold and dry weather, excessive sun exposure, frequent hot baths or washing, aging of the skin or dehydration are some factors triggering dry skin. 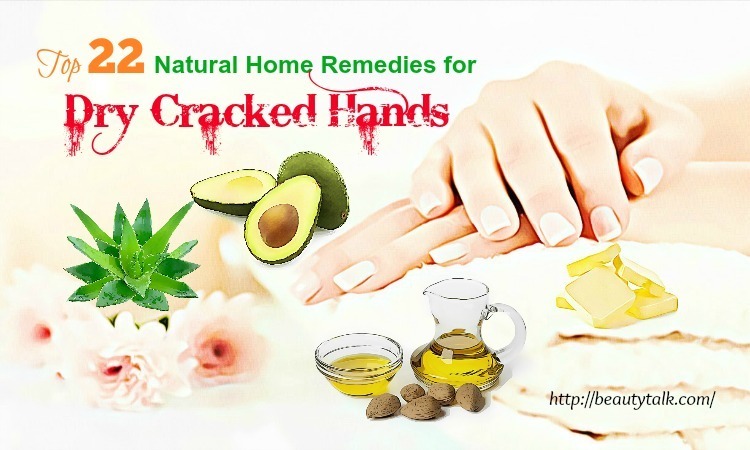 It may start peeling, become inflamed and develop painful cracks bleeding in severe cases if dry skin isn’t treated properly. 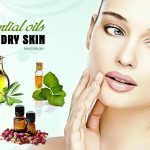 There are many medicated lotions, ointments and creams in the market claimed to combat dry skin. 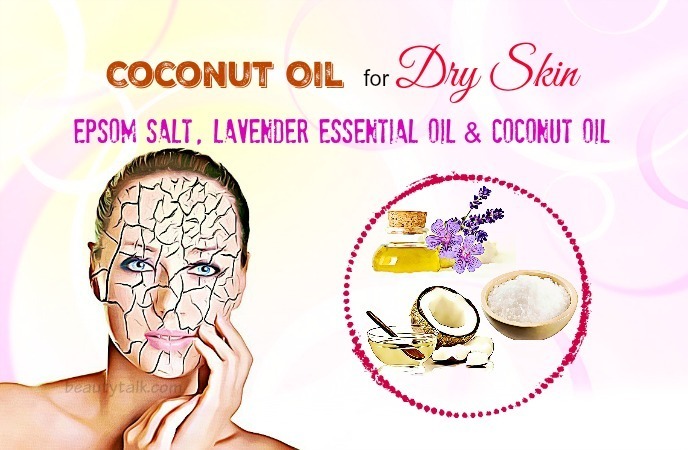 However, you can use a cheap and natural ingredient called coconut oil to deal with this skin problem. 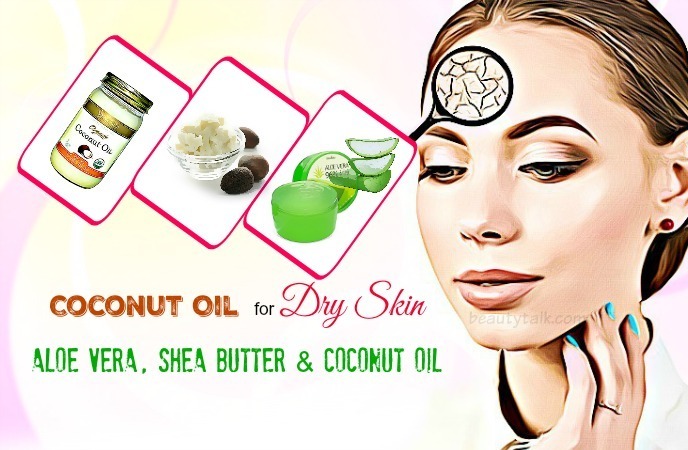 Coconut oil acts as a natural moisturizer for fighting dry skin. Today, Beauty Talk will tell you about how coconut oil works and the best ways to apply coconut oil for dry skin on face & body. Being rich in vitamin E, coconut oil is useful for restoring lost moisture and strengthening the connective tissues of the skin. 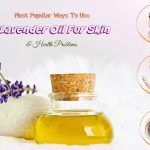 In addition, the oil also consists of saturated fats such as triglycerides (MCTs) and medium-chain fatty acids (MCFA’s), which retain moisture in the skin and remove moisture loss through pores. In addition, the caprylic and capric acids in coconut oil contain anti-inflammatory and anti-fungal properties, which can inhibit any skin infections. 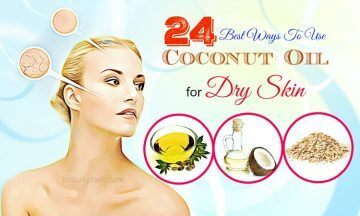 Along with that, coconut oil functions as a natural toner and moisturizer, which can reduce dryness and the resulting wrinkles and fine lines. 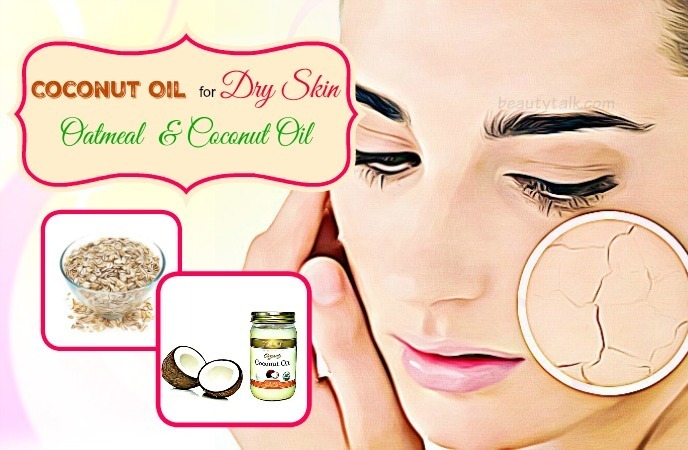 How To Use Coconut Oil For Treating Dry Skin On Face & Body? Firstly, wash your face using warm water & a mild cleanser and next, wash again with ice cold water. Use a soft cotton towel to pat dry and let air dry for five minutes. Start applying a thin layer of coconut oil on your dry skin and massage it for 2 to 3 minutes in gentle circular motions. Afterward, gently wipe it off after 15 minutes with a wet cotton towel. For visible results, repeat the process three times in a week. The slightly grainy texture & cleansing component in baking soda make it a cheap treatment for fresher, softer skin. Baking soda is a mild exfoliant, which aids in removing dead skin and cleaning your pores. Mix the two ingredients together and apply this mixture all over the face. Massage gently for two to three minutes and after 10 minutes, wash off using cool water. To get the desired results, repeat the treatment once to twice a week. Mix well the castor oil & coconut oil in a bowl. Then, apply on your dry skin with the mixture and use your fingers to massage it in for three to four minutes. Thereafter, use lukewarm water to rinse off and pat dry. Continue to follow the method two times per week. In a bowl, combine the two ingredients well. Then, you start applying a thick coat of this mixture on the affected skin. Leave the mask to remain on for twenty minutes before washing with cold water and pat the skin dry. To combat the problem of dry skin fast, try repeating the procedure thrice a week. Typically, vitamin E can restore the lost moisture content to rejuvenate dry skin. Along with that, it’s also a fat-soluble antioxidant, which assists in protecting the skin cells from free radicals damage. Add the vitamin E oil into the coconut oil and in a blender, whip on high speed in until a light, airy consistency is formed. Then, store the mixture at room temperature in an airtight jar. Thereafter, apply it nightly before going to sleep and leave it on all night. In the morning, wash the application with cool water. It is advised to repeat the method every alternate day for about two weeks. Add the three ingredients in a small bottle. Secure the cap afterward and shake well. Begin to apply this solution on the affected skin and massage slightly for five minutes. Keep your application on for 15 minutes before rinsing with cool water and pat dry. The method should be followed once in two days. Combine the coconut oil and raw sugar in a bowl. Mix thoroughly until a thick paste is formed. Evenly apply on your dry skin with the aid of your fingers and leave it to stay for five minutes. Gently massage with your fingers for around 30 seconds in circular motions. Lastly, wash off using cool water. Continue following the method thrice per week. Oatmeal helps to your skin to retain moisture because it’s natural humectants. Apart from that, it consists of healthy fats and beneficial polysaccharides, which help to prevent moisture loss by forming a protective layer on your skin. Make a paste by mixing coconut oil, oatmeal and some water together. Massage gently on your face with circular motions and rinse your face using cool water after 15 minutes and pat dry. Try following the method twice per week. Add the aloe vera gel, olive oil and coconut oil into a blender. Then, blend the mixture at a high speed until a whipped consistency is formed and thereafter, store this resultant mixture in an airtight glass jar. Start applying on your dry skin nightly and wash it off in the morning. For quick results, repeat the method every alternate day for about one month. Add all the above ingredients in a bowl and whisk them together with the aid of a fork. 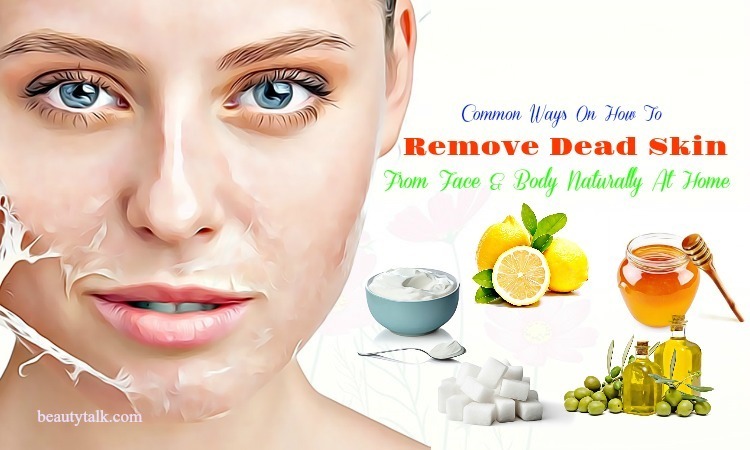 With a cotton ball, evenly spread the solution on your face. After that, rinse off using warm water after around 5 to 10 minutes and pat dry. It is best to reapply once per week. Being enriched with calcium, phosphorus, iron and vitamin A, E, and B-12, spirulina is able to keep the skin hydrated and nourished while brown sugar is a natural exfoliator and humectants for dry skin. The first step is combining all the things in a bowl. The next step is applying liberally all over the face and leaving it on overnight. In the morning, use cool water to wash off. It is suggested to follow the procedure two times per week. Jojoba oil has the ability to remain the oil levels balanced in your skin since it functions as an emollient. 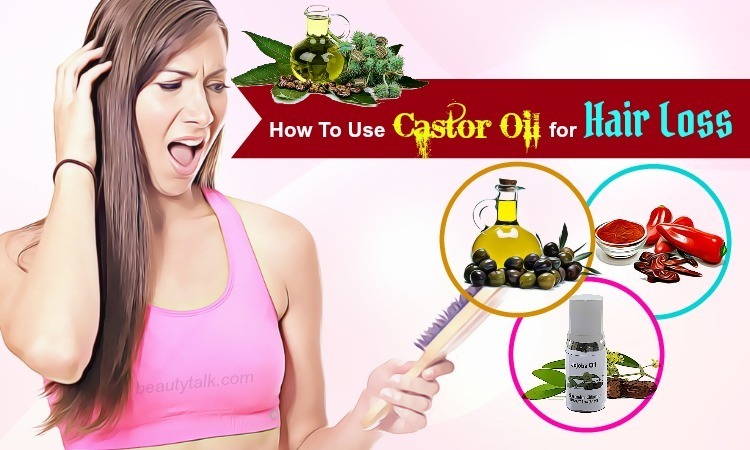 The oil also moisturizes dry skin effectively. Besides, Shea butter acts as a wonderful moisturizer for dry skin thanks to its vitamins & nourishing fatty acids. Add the three ingredients in a glass bowl. Later heat a little water in a saucepan on medium heat and in the saucepan, place the glass bowl. Mix the oils thoroughly and continue to heat until you get a smooth consistency. Turn off the heat when the combination becomes semi-translucent. Afterward, store in an airtight glass container and apply on your affected skin thrice per week. Turmeric owns curcumin, which consists of powerful antioxidant & anti-inflammatory properties. These properties are effective at healing dry skin and neutralizing the harmful free radicals. Banana, on the other hand, is a moisturizing and hydrating agent for dry skin. Besides, this fruit is also used as a natural hair care ingredient. With the aid of a masher or a fork, you mash up the ripe banana. Add the turmeric and coconut oil to it. Stir in to create a thick paste and start applying it on your face. Wash off after 15 minutes and pat dry. Do the process thrice a week. Shea butter helps to hydrate and soften the skin due to its natural fatty acids while aloe vera aids in moisturizing dry skin and keeping it nourished thanks to its vitamins C, E & beta-carotene. Combine aloe vera gel, Shea butter and coconut oil in a bowl. Then, spread the combination on your problem skin with your fingers. Keep your application on for fifteen minutes before rinsing with lukewarm water and afterward, pat dry. It is advised to repeat the remedy 3 times a week. The curcumin found in turmeric comes with an anti-inflammatory effect on the itchy, dry, and irritated skin. Being rich in antioxidants, coffee repair the damage caused due to free radicals. Aloe vera juice and banana both work as natural humectants so that they help to prevent dryness by retaining adequate moisture within the skin. Mix together all the ingredients in a bowl to get a thick paste. Simply, apply the thick paste on your affected skin and keep the application on for 20 to 25 minutes. After that, remove the paste with cool water. The process should be repeated one time in every 3 days. Avocado has the ability to soften and hydrate the skin owing to its natural oils while nutmeg is a potent moisturizing and exfoliating agent for treating dry skin. Take ¼ of a ripe avocado and mash it into a smooth paste in 1 bowl. Add together the nutmeg and coconut oil to it. Stir well till you attain a thick paste and massage it onto the face with circular motions. Leave the application to remain on for fifteen minutes before washing with cool water and finally, pat the skin dry. For quick and best results, repeat the procedure twice per week. Generally, frankincense essential oil has the power to treat, cracked, dry or parched skin. Besides, it also helps to promote healthy cell regeneration and keep existing skin cells nourished and hydrated. The first step is mixing all the above things together. The next step is spreading the mixture on your dry skin. After the duration of 20 minutes, rinse off the application. The mixture can be applied daily for one week. In a bowl, add the coconut oil, yogurt and honey and whisk them well till they’re thoroughly blended. Start applying the blend to your dry skin and rinse using cool water after 10 to 15 minutes and pat dry. Continue repeating the treatment thrice a week. Carrots are loaded with beta-carotene and potassium, which keep the skin tissues nourished and help in skin hydration. Being enriched with natural antioxidants & saturated fats, cocoa helps to heal dry and flaky skin. Add all the ingredients in a bowl and mix vigorously to get a smooth mixture. Start applying all over your face in gentle circular motions. Rinse off after 10 to 15 minutes with cool water. It is suggested to repeat the method one time per week for about 2 months. Simply, combine coconut oil, Epsom salt and lavender essential oil in a glass jar. Begin to apply on your problem skin and wash off using cool water after 20 minutes. Follow the method three times per week. Add the coconut oil and pure beeswax in a saucepan and heat on low flame until they are melted. Add the vanilla or lavender essential oil to it and mix well. Remove from the flame afterward and pour the mixture into molds or muffin tins. Let it cool down and rub this lotion bar for 2 to 3 minutes between your hands to warm it. 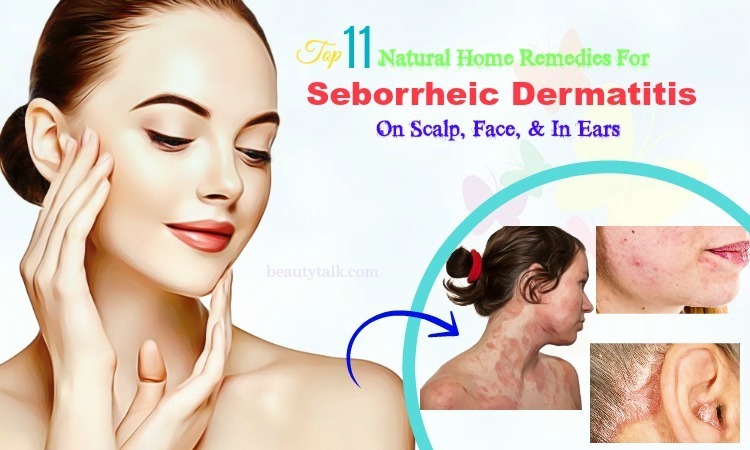 Directly apply it on your dry skin once warm. Try repeating the application one time daily. Mix well the ingredients and apply it on your face. Thereafter, use cool water to wash off after 10 minutes and pat dry. It is advisable to repeat on alternate days. Mix together the above ingredients and start applying on your affected skin. Rinse the area with warm water after 15 minutes and pat dry. It’s best to apply daily for two weeks. Combine the coconut oil, tea tree oil and honey in a bowl. Start to apply this mixture on your dry skin and keep your application on for fifteen minutes. After that, rinse the application using cool water and pat the skin dry. For visible results, apply thrice in one week. 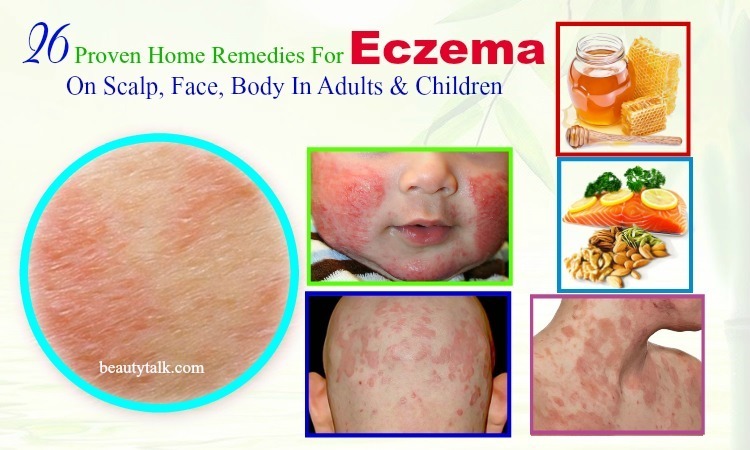 If you want to read more other such articles, please visit our main Skin Care page. Do you know other ways to use coconut oil for dry skin on face and body? 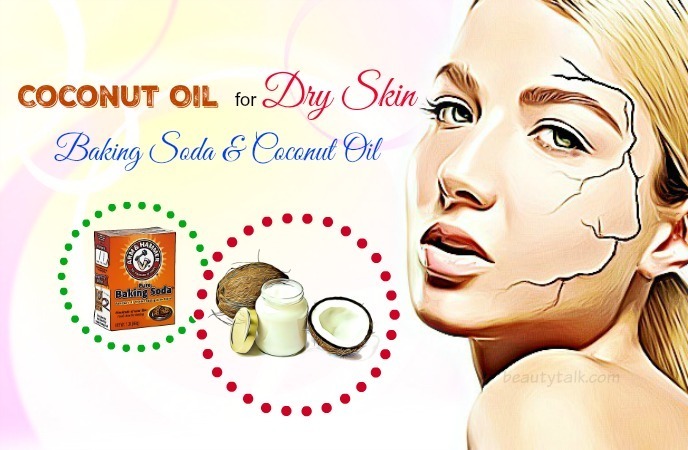 Have you ever tried coconut oil for dry skin? Do share your suggestions, thoughts, and experiences with us & other readers in the comments box below.